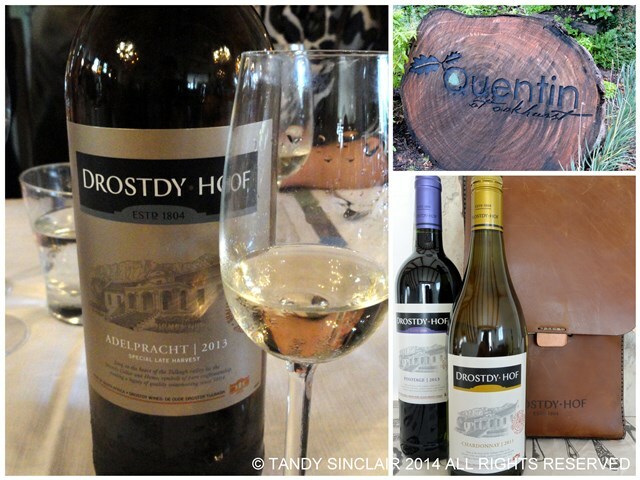 Last week Friday I was invited to a media lunch to showcase the new look of Drostdy Hof Wines, #newlooktrustedtaste. Lunch was held at Quentin at Oakhurst, Hout Bay and most notably, a special dessert was done for me. The most amazing wine that I tasted was the Adelpracht 2013 which is a dessert wine. This was served with the starter and was a perfect pairing. The wine is slightly acidic and not too sweet. I was given 2 bottles of wine as a gift, and I used the 2013 Pinotage which is a very light, easy drinking wine, to marinade some venison for a carpaccio. Take a look at their facebook page to see which wine you are and stand in line to win! Strangely enough, I am the Adelpracht! The carpaccio was the starter for a dinner party that I held on Saturday night. The main course was a fish pie and dessert a plum tart tatin with ice cream. Disclosure: I was invited to attend this event. My invitation was not based on me posting about Drostdy Hof Wines. This post is in line with my blogging policy. Disclosure: I was sent these bottles of wine as a gift. 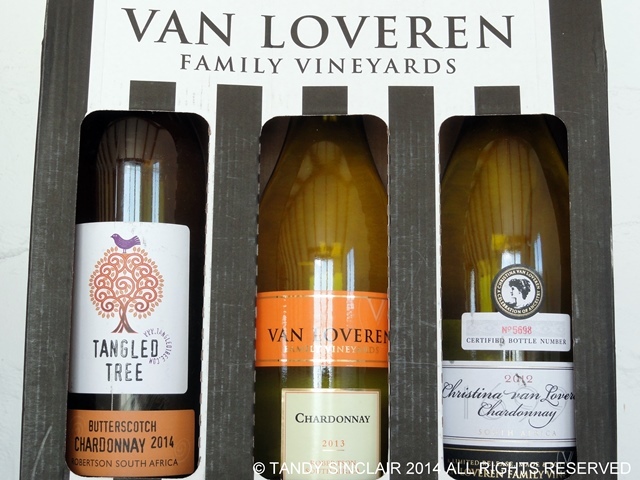 I was not asked to post about Val Loveren Family Vineyard. This post is in line with my blogging policy. Sounds like such a fun party! You can’t go wrong when you have a good bottle of wine! Can you get them in Australia? Oooh, such lovely gifts! I can imagine how much you enjoyed the dinner. Looked awesome! We get some Drodsty Hof wine here in Dubai – but it’s the bag in box wine. Not bad at all though – I use it for Mulled wine and it’s fantastic. What a lovely dinner party, that sounds so classy! I would so love to have you over! Sounds like a very elegant dinner party! Nice wines!